Since the flagship cryptocurrency found itself above $3,700, it has traded within the 3600s without any sign of a bonafide breakout. In fact, as of the time of writing, BTC posted a rare 0.00% daily performance. And as Bitcoin and most of its altcoin brethren trade flat, LTC continues to run, building off its already jaw-dropping performance seen not 72 hours ago. What Are Crypto Analysts Thinkin’? So how are crypto traders/analysts taking this continued rally? Crypto Capital Venture, a Bitcoin-centric content creator, remarked that from a technical standpoint, Litecoin’s weekly chart has some momentum going for. To back his point, the industry influencer drew parallels between when LTC began to rally in late-2017, and how the asset is acting now. Do you think that #litecoin could be one of 2019's best #crypto plays? The responses to Lark’s inquiry were mixed, as fans of other cryptocurrencies quickly took to the comment section to reply with their flavor of the month, so to speak. Xinxi Wang of the Litecoin Foundation, who is also the founder & CEO of CoinUT, was more explicitly optimistic. Wang remarked that LTC is far from dead, accentuating how the project now holds the fourth seat in crypto’s standings. Well that’s all well and good, but what has been up with the project as of late? Charlie Lee Considering On-Chain Privacy, Partners With MimbleWimble-based BEAM: After Charlie Lee hinted at adding on-chain privacy for months, the Litecoin creator took to Twitter recently to reveal that he and his team are formally looking into Confidential Transaction and MimbleWimble technology. Lee later divulged that he teamed up with BEAM, a project centered around MimbleWimble, to work on implementing the technology into other, more traditional blockchains. Ben Askren Promotes LTC As UFC 235 Nears: After the Litecoin logo appeared in the UFC 233 ring, the project has sponsored former Olympic Wrestler Ben Askren. Askren took to Twitter recently to laud LTC. 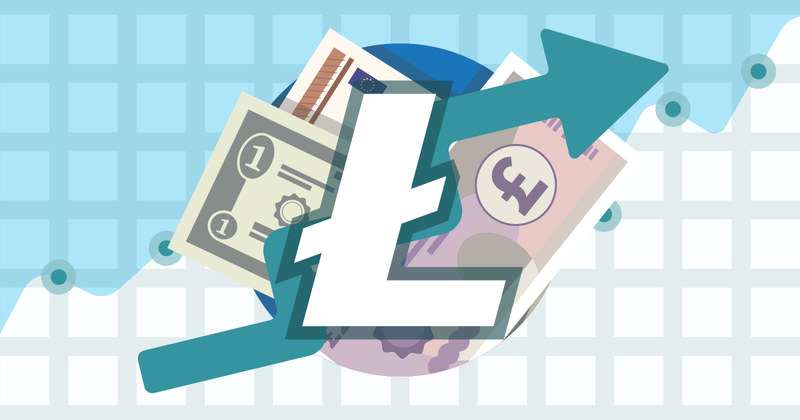 Litecoin Undergoes Rebrand: Near the start of 2019, Litecoin underwent a full rebrand to move from its old, traditional grey logo to one stutded in blue and white. Good move.